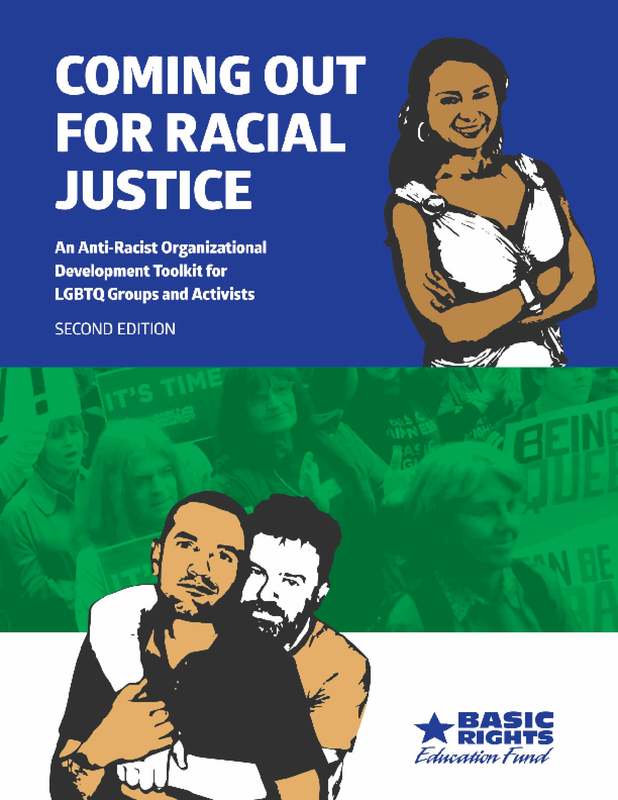 This toolkit was originally created based on the experience of our work as a primarily white LGBTQ organization working in a primarily white state and region. After several years of intentional, internal organizational development and reflection, we came to recognize that racial justice is an important, broad and complex issue that cannot be ignored, and that racism impacts the LGBTQ community in deep and far reaching ways. There are many approaches to making our organizations more racially just, so our aim in the original toolkit and now with the revised second edition is to share best practices, identify potential challenges and provide tools and resources to support others on this journey. Copyright 2015 by Basic Rights Education Fund. All rights reserved.